Tethering and mobile hotspots is among the features of the new Samsung Galaxy Alpha that allows you to share your device's mobile data connection with computers and other devices especially if no Internet connection is available. The feature is also present among other existing Samsung devices -- smartphones and tablets. With tethering and mobile hotspots, connection can be made through Wi-Fi, USB or Bluetooth. Please note that you may incur extra charges for using tethering and mobile hotspot with your Galaxy Alpha. We therefore suggest calling of your Internet Service Provider or carrier and verify your terms about mobile hotspots usage and charges beforehand. Read on to learn more about Tethering and Mobile Hotspot feature on Samsung Galaxy Alpha handset. 3. Tap on Tethering and Wi-Fi hotspot. 5. Tap on the More options icon (three-vertical-dots icon). 6. Enter or edit the Network SSID or network name. 7. Check the box next to Hide my device to make your network invisible. 9. Enter or edit Password if necessary. 10. Tap on Show advanced options and configure the Broadcast channel. 11. Tap on Save to apply the changes you've made on your phone's mobile hotspot settings. Mobile hotspot will then turn off and then turn back on with the newly configured settings applied. 1. Enable or turn ON Wi-Fi on the device you want to connect to your Galaxy Alpha mobile hotspot. 2. Search for your hotspot using the information provided on the Mobile Hotspot settings screen and enter necessary information. Follow these steps to start using your new Galaxy device as a mobile hotspot and share its mobile data connection with other devices you have. Tap on the Mobile Hotspot switch to turn the feature on or enable it. Once the feature is activated, other devices can now find your Galaxy Alpha in the list of Wi-Fi networks available. Tap on the option to Configure hotspot. Select the level of security you prefer. Go to your other device's screen, then search and select your Galaxy Alpha from the Wi-Fi networks list. Use your Alpha's mobile data connection to access the Internet on the connected device. You can use your Samsung Galaxy Alpha as wireless modem and share its mobile data connection with a computer. In some cases, installation of additional drivers may be necessary to tether your phone to your computer. But usually, drivers will install automatically. If not, then please visit Samsung website and get to your phone's page for downloading of additional drivers. Follow these steps to use USB Tethering and share your phone's mobile data connection with other devices using a USB cable. Tap on Apps from the Home screen. Select Tethering and Mobile hotspot. Place a check mark on USB tethering. 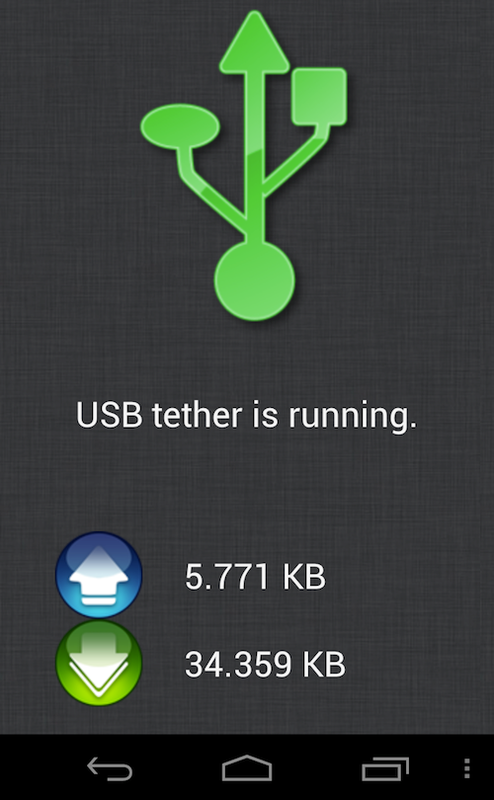 When the feature is turned on, you will see the USB tethering icon at the top of your screen. When both devices are connected, get to your computer then try using your phone's mobile data connection to access the Internet. And that would be all for this guide. More basic tutorials on Samsung Galaxy Alpha will be published later on this site, so stay tuned.